When it’s time to shop for patio furniture at our local patio furniture store we may become overwhelmed by the varied offerings from distinct brands. Each store may stock a variety of designs from one brand or many, so it can get tricky to identify the best brands to shop from. This is why we’ve written this short guide outlining our opinion for the top 5 brands for patio furniture, that way you are prepared when you go shopping. 1. Brown Jordan- One of the Best. Started in Pasadena, California in 1945 by Robert Brown and Hubert Jordan, this brand is first on our list for its innovative, meticulously designed and exceptionally executed outdoor furniture to quote from their own website.They have consistently ranked top as one of the most trusted innovative brands in the market. Brown Jordan is noted with being the innovator who first created tubular aluminum and vinyl lace designs, called Leisure, and all their collections is made with 100% rust free aluminum frames. They always maintain the bar high, with outstanding quality, warranty, design and service. With over 30 collections, Brown Jordan is a recognizable brand that is sure to meet all your expectations. 2. Woodard- A Century of Handcraft. With 150 years of experience making high quality, hand crafted furniture; Woodard competes for the top spot on our list making a close second. 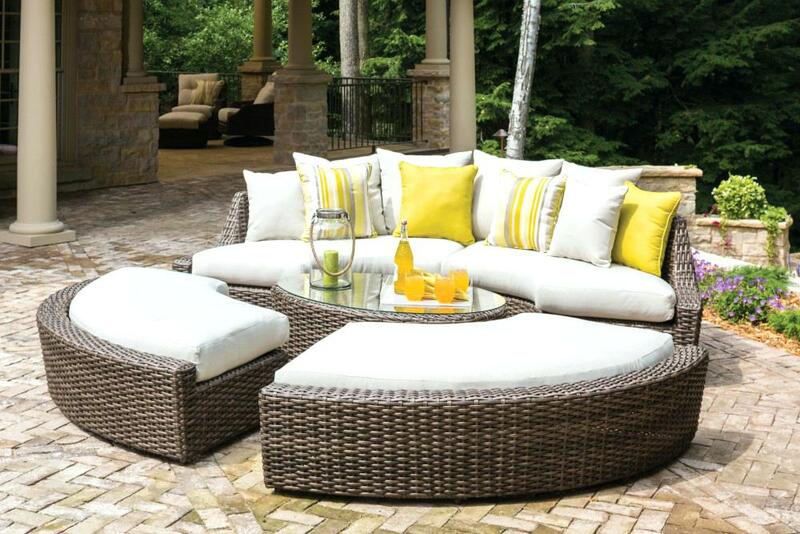 Founded in 1866 in Owosso, Michigan by Lyman E. Woodard and his three brothers, this brand offers wrought iron, aluminum and all-weather-woven patio furniture. They use both manufacturing processes: hand forming and the latest high tech processes to create beautiful and durable pieces. With over 50 collections, frames and finishes, Woodward is a must shop on our list. 3. Telescope Casual Furniture- Impeccable MGP Furniture. Telescope got its start in 1903 and became renown for their style, comfort and durability as well as the telescoping legs that gave the company its name. Telescope products are a balance of form and function built with pioneering manufacturing methods, allowing for durability as well as speedy delivery times. They carry Marine Grade Polymer as well as Aluminum furniture. Take Telescope Casuals classic Adirondack MGP Lounge Chair, for example: rather than constructing their MGP (Marine Grade Polymer) collection from resin boards like some of their competitors, Telescope uses state of the art technology CNC computer controlled routers to sculpt thick, dense sheets of the marine-grade polymer. The design and finish means theses pieces have little to no exposed hardware. Its this kind of attention to design that makes Telescope Casual Furniture on our list. 4. Lloyd Flanders- Timeless Wicker Styles. Lloyd Flanders got its start in 1906 by B Lloyd, who invented a unique process for making fine woven furniture and named it Lloyd Loom. This patented weaving process creates high quality outdoor furnishings rom natural fiber wicker and UV weather-protected vinyl weaves. Having built a strong reputation for manufacturing upscale patio furniture in classic and vintage styles that complement traditional decor. Their wicker sofas, lounge chairs and rockers grace the porches of many historical landmarks and hotels across the nation, and have been featured in films and tv. Lloyd Flanders is a solid number on our list, and we highly recommend it for wicker furniture. furniture. Using a refined process, Gloster manufactures all-weather teak furniture that is very weather-resistant with regular maintenance. Additionally their teak is sourced from carefully managed plantations in Indonesia to ensure high quality teak as well as environmental responsibility. Then each furniture piece is shaped and finished by a dedicated craftsman that gives it the Gloster finish. 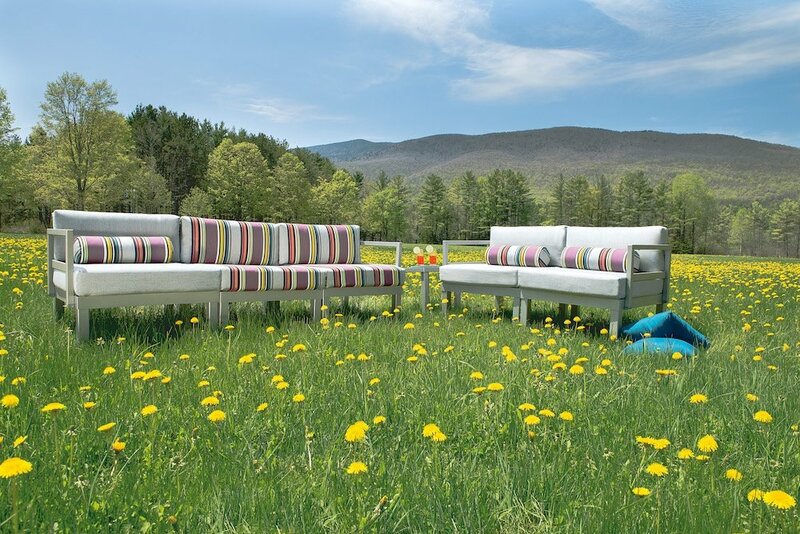 If youre looking for a wood outdoor furniture brand that has durable high quality furnishings, look into Gloster! Most of these brands have 5-10 years of warranty but its best to ask on the details of each specific warranty since they may vary from product to product. We hope this short and succinct list will help you in making your patio furniture shopping choices.